April 13 & 14, 2019 Beat the pyramid! All prices include VAT and exclude a €2,75 ticket fee. Doing Mud Masters is one for the bucket list. A day full of mud, obstacles and fun with your friends – one that years later you’ll look back on with a smile and brag about at get-togethers with friends and family! Don’t leave anything to chance! Register now with your friends for the same start wave. Because Mud Masters is Teamwork with a capital T! You only really get to know your colleagues during tough times. Muddy times, in this case. Do you want to see your manager crawl? Or the secretary trading her dress suit for a mud suit? Register as a company team and you’ll have plenty of stuff to talk about around the coffee machine! Mud Masters like to keep on going! That’s why all our participants start in different start waves. Every 20 minutes another new wave of about 400 enthusiastic Mud Masters starts. This ensures a good flow on the course. Of course you want to start with your friends, colleagues, sports buddies and family members. After all, you’re going to really need them on the course! If all of you register in the same start wave, you are all guaranteed to start together. Is the start wave of your friends full? Then register in another start wave and ask your friends to change start waves. They can easily do this by logging in to their profile using the link that they received via email after their registration. This is possible as long as the supply of start waves lasts. The parking area will open at 08:00. Keep 8 euro cash in pocket for a parking day ticket. April edition: Great weather and water obstacles! 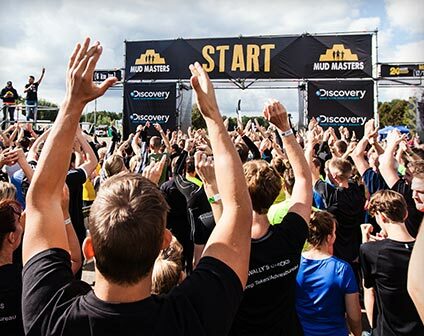 On April 13 & 14, Mud Masters is returning to where it all began in 2012: Haarlemmermeer (NL)! So this year no March edition but an APRIL edition! That means better weather and… WATER OBSTACLES on the course! Thousands of adrenalin junkies can now finally also experience our spectacular Execution and Flyer in Haarlemmermeer! 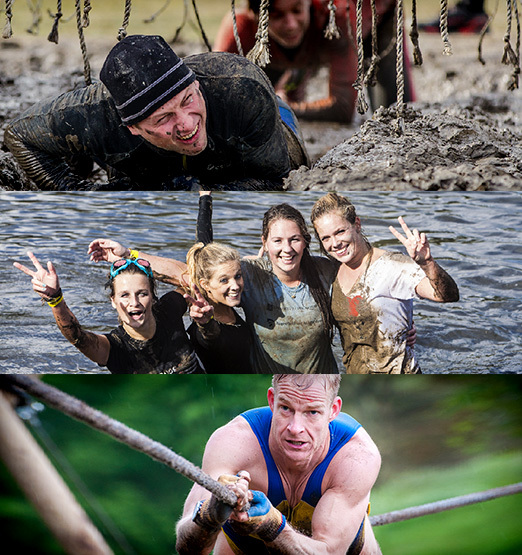 Of course, there will also be LOTS AND LOTS of mud, and classics like the Monkey Bars and the infamous pyramid mountain Toetanchamon Steps can’t be missed on our Marine assault course. You know you don’t want to miss that, so collect your friends and register together ASAP! We always need people that can assist participants at the obstacles. Often a little push or a helping hand can make a big difference. If that sounds a bit too active for you then another grateful task may be to distribute T-shirts, food and beer. There is a task for everyone. Register now! The best way to extend that euphoric state you are in after your run is to stay within that unique muddy atmosphere. This does not happen when you go home early to sit in front of your television. Our advice: Team up with your friends once more, have a few pints, eat something, thank the Mud Masters that helped you along the way and sing along to the music. Let’s all enjoy the party! If you have come to show your support for family, friends or colleagues you are just as much a part of the event as anyone and are very welcome to join the party. Everyone is invited, your mum, your neighbours and even your terrier. The beer is served cold and your fanatical roars will help the mud warriors run faster! Entrance = Free. To your right you will find a few of the most important items you need on the day of the event. Make sure to be present one hour and a half before the start of the race to collect your starting license and to hand in your gear at the wardrobe. We want you to start your track in a zen state of mind instead of in hurry. To collect your start package at the start number counter. Money for the parking ticket. A plastic bag for your wet and muddy clothes. Dry and warm clothes for after your run. We recommend arriving at the terrain in your sportswear. You have already registered for this event. We are looking forward to seeing you there!